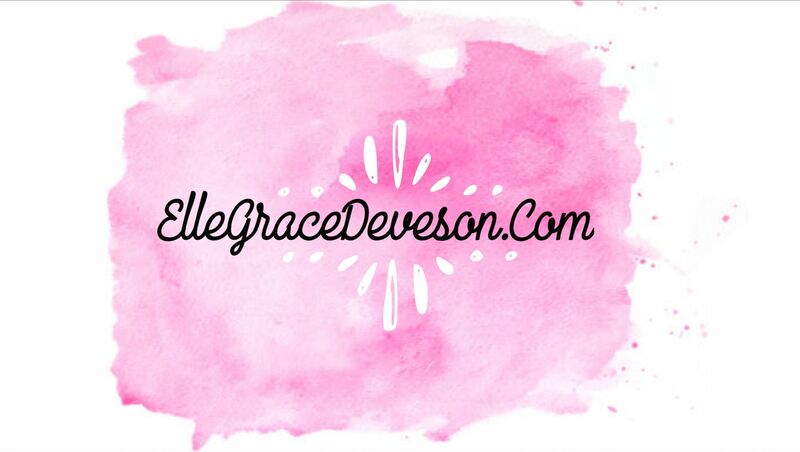 If you follow me on my Instagram ( @elledeveson ) then you’ll have seen that late last week I done a few polls asking you questions of what you’d like to see more of, on my blog. By high-demand raising more awareness for my illnesses / in-depth talks about certain illnesses was one that you guys would like to see more of. So as of today, I’ll be doing just that! I genuinely believe that bringing awareness to any illness, wethers it rare or known of, is something every chronic illness suffer should do. More awareness leads to more research that finally leads to new medicines/equipment… possibly even a cure! Something I could only dream of having. Anyway, yesterday was the start of Feeding Tube Awareness Week – a medical device that is keeping me and thousands of others alive! Ever since I was a baby, I’ve had bad problems with my digestive system. my parents would spend week after week at the hospital with me, trying to figure out what was happening, yet the hospital never investigated further leaving them with no answers. As I grew older, these problems were still there but in a milder form… until I turned 14. In 2013 I obviously fell ill with encephalitis, which soon lead onto multiple illnesses occurring. Over the last two months of 2013, we noticed my digestive system was beginning to worsen. By January of 2014, my entire digestive system had become paralysed, leading to multiple symptoms occurring and I couldn’t eat any solids. By June of 2014, I’d lost over 4 stone in weight and I had my first NG Tube placed to give me nutrition and medications. After 2-3 years of the NG/NJ Tubes, my symptoms worsening and my condition deteriorating day by day, I ended up taking my feeding tube out (despite doctors being against doing so) due to sickness, I was spewing up my feeding tube 5-10 times a day, leading to constant throat and sinus infections. From 2014 onwards, I’ve been having multiple tests done (which are far from pleasant) and every test has revealed something else wrong with my digestive system. I am paralysed from my oesophageal, to my bowels and intestines, to my bladder – every organ in my digestive system has stopped working. In 2018, I was FINALLY diagnosed with Ehlers Danlos Syndrome (also been diagnosed with Gastroparesis, Dysmotility & Dysautonomia / Autonomic Dysfunction) a condition that affects the connective tissues, skin, bones, blood vessels and many other organs/tissues in the body. This lifelong condition has caused me great difficulty; paralysed organs, dangerous symptoms, malnourishment, dehydration and much more. Therefore, after 2 years of having no proper nutrition, loosing weight, become malnourished, having to have multiple vitamins pumped into me and serious dehydration, on the 13th of this month, I’m having a surgical feeding tube placed in my stomach/bowel which will allow me to get everything I need to survive. It’s called a G-Tube / GJ-Tube, a medical device which we’re hoping will make a major difference in my life. I don’t want to go on to much about my journey with EDS as we’ll be here forever but I wanted to give you a insight on my illnesses before we continued on. A feeding tube is a medical device used to provide nutrients, hydration and medications to patients that can’t physically obtain these things by mouth, are unable to swallow safety OR are in severe need of nutritional supplements. The state of being fed via a feeding tube is called ‘gavage’, enteral feeding or tube feeding. How Long Do People Have Feeding Tubes For? Placement of a feeding tube may be temporary to help give treatment to those who have acute conditions, whereas those who have chronic disabilities, this placement could be lifelong. consultants can’t put a time on how long a feeding tube will be placed for, it may be 3 months or 3 years. Time varies for each individual. What Are The Different Feeding Tubes? There’s two types of feeding tubes – nasal tubes and abdominal tubes. Yet, in both of those categories there’s a few different types of tubes. Nasogastric Tubes (NG): this tube enters the nose and goes into the stomach. these are often used for acute cases and is used for a short period of time, around 1 to 6 months. this is usually the first tube those with illnesses receive. Nasduodenal Tubes (ND): like NG tubes, this tube enters through the nose but they extend into the beginning of the small intestine, the duodenum. This is another tube which is usually only used for a short period of time, 1 to 6 months. Nasojejunal Tubes (NJ): this tube is almost identical to the ND tube except they extend a little further into the small intestine. meaning the feeds end up in the jejunum. These tubes are often used for a little longer, around a year. Gastric / Gastrostomy Tubes (G): this tube is the most common type of feeding tube. these are placed surgically or endoscopically directly through the skin into the stomach. these are for those who require a feeding tube for more than 3 months. this is also classed as a PEG. Gastrojejunal Tubes (GJ): this tube is very similar to a G-tube, they enter the stomach directly through the skin using the same site or stoma as a G-tube. Although, these tubes have two feeding ports, one into the stomach and the other into the small intestine. formally known as a GJ-tube. Jejunal Tubes (J): this tube is placed directly into the small intestine, yet these tubes aren’t very common. they are placed via surgical placement. Many children and adults who require a feeding tube will have them placed surgically or other procedures, this is the same for removing the feeding tubes. Why Do People Require A Feeding Tube? Conditions: there are many conditions that can lead to a person requiring a feeding tube. A person could have multiple conditions that contribute to having a feeding tube. Overall, there’s over a 1,000 conditions that may or may not have been heard of. Swallowing Problems: many children and adults who have a feeding tubes require them because they are unable to swallow safely. There are many possible causes of swallowing disorders, they include: neurological/genetic conditions, stroke, brain injury, prematurity and NICU care, low muscle tone or uncoordinated swallowing, cleft lip, autism, motility problems and many more. Motility Disorders: many children and adults with feeding tubes have a motility disorder, in which food or formula does not move throughout the digestive track as it should. From reflux to slow gastric emptying to constipation (this is the reason I can’t eat!). There are many motility disorders that cause multiple symptoms that result in a feeding tube. Chromosome & Genetic Disorders: children and adults that require a feeding tube may have a genetic or chromosome disorder, which are conditions that are caused by abnormalities in a persons 46 chromosomes. Feeding tubes are a lifeline to many people worldwide and despite the battle being hard, they are a medical device/procedure that keep our bodies running! I really hope today’s post gave you a proper insight into what Feeding Tubes are, how they work and why many people have them. Sharing my battle with my digestive system isn’t ever easy, it’s a illness I prefer to keep quiet (so much TMI) but I felt it was only right to share my story whilst raising awareness for a week close to my heart. Please share today’s post and help me raise more awareness, it would mean the world to myself and the chronic illness community! Highs & Lows Of 2018! Previous Post Homemade Valentines Day Inspired Doughnuts! Next Post Valentines Day Inspired Victoria Sponge Cake Recipe!